Despite a thunderous 1966 debut, Marvel’s Mentallo would soon become a C-list villain. However, over the decades he gradually become more fleshed-out and interesting. Our notes about him are getting long in the tooth, we’ll upgrade ’em when feasible. Group Affiliation: Former partner to the Fixer, former HYDRA agent, former member of the Resistants, former SHIELD agent. Base Of Operations: Formerly Mobile, currently Seagate Prison. Marvin Flumm has the mutant ability to read minds as well as induce psychic hallucinations directly into his victims. Using his psychic abilities, Flumm can perform a type of radar sense to detect the presence and shape of intangible or out-of-reach objects. Flumm has also employed an anti-psionic helmet, which allowed him to resist psionic attacks against him and granted him invisibility to telepathic detection. Marvin Flumm was born with telepathic powers that first began to manifest themselves during adolescence. Flumm, content to work as a shoe salesman, tended to ignore his powers. Niles Nardstrom, director of the newly organized ESP Division of SHIELD detected his telepathic abilities. Thus, Flumm was invited to join. As Nordstrom helped him develop his talent, Flumm’s ambitions began to grow. Mentallo allied himself with Norbert Ebersol, alias the criminal Fixer, whom he located by telepathy. The pair staged a raid on SHIELD’s Manhattan headquarters which came close to succeeding. The pair were taken into SHIELD custody but escaped some months later, thanks to the Fixer’s genius. They took advantage of the Fixer’s connections to become involved in the East Coast terrorist organization HYDRA. Back then, it was controlled by Maggia crime family boss Silvermane. After Silvermane’s HYDRA operations were fragmented, Mentallo and the Fixer laid low for a while. They then surfaced in an attempt to use the cyborg Deathlok to assassinate the President of the United States. As a result the two ended up in SHIELD custody again, until they were freed by HYDRA and again employed as operatives. HYDRA wanted the two to debug Computrex, a computer system designed to steal data from other systems. 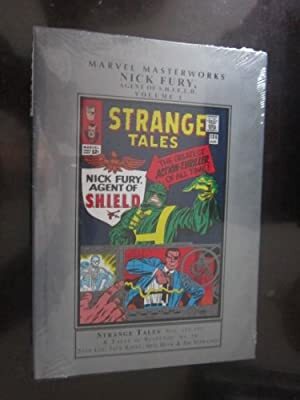 HYDRA was interested in tapping into SHIELD’s computer to learn what SHIELD knew of the extra-dimensional Microverse. This was because the Microversian tyrant Baron Karza had seized control of a certain faction of HYDRA. When the Micronauts destroyed Computrex, Mentallo and the Fixer pursued them to turn them over to HYDRA. At the end of a long skirmish, Commander Rann of the Micronauts attacked Mentallo and wrested off Mentallo’s thought-screening helmet. Rann and his robotic ally Biotron then bombarded Mentallo telepathically for information. This caused his mind to overload and shut down. SHIELD took custody of Mentallo, but agents of Professor Anthony Power managed to get him transferred to the Professor’s custody. Power hoped to use Professor Charles Xavier’s telepathic power to revive Mentallo’s comatose mind. From there Mentallo could use his power to restore Power’s son’s mind, which was in a severe state of shock. Linked by a process created by the Fixer, Mentallo battled Professor X on a psychic plane and was overpowered. Mentallo was turned over to the authorities. But he was then freed by the organization known as the Resistants while being transferred to the Vault, a federal prison designed to hold supervillains. 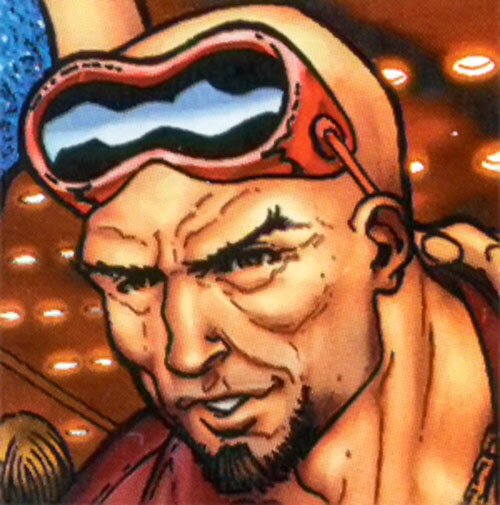 While a member of the Resistants, Mentallo took on a new name, Think Tank. Flumm used a small cart that moved around on tank treads and sported mechanical tentacles, blasters , and machine guns. 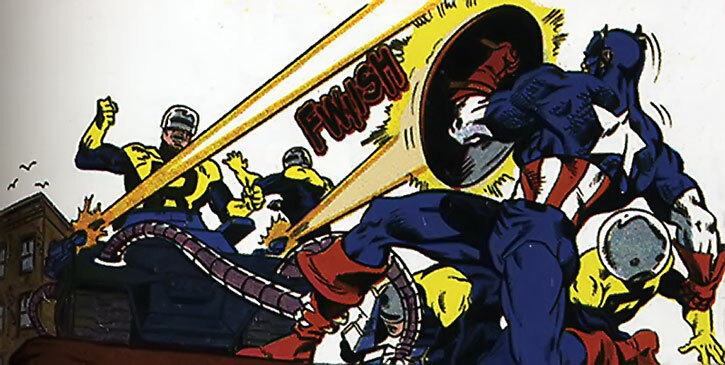 Flumm’s first mission with the Resistants was an attempt to free Magneto.This was actually a trap set by Freedom Force to capture the group. Freedom Force was subdued, but the Resistants were attacked by Captain America VI (John Walker). Despite his mental powers and his new gadgetry, Flumm and the Resistants were no match for Walker’s savagery. The would-be Captain America subdued them easily. After the battle Flumm was returned to federal custody. Mentallo was placed in stasis in Seagate prison to prevent him from using his powers. Justin Hammer freed Flumm’s mind as part of a plot. After Hammer’s death Mentallo mentally contacted Clint Barton, imprisoned in Seagate for his association with the Thunderbolts. In exchange for Mentallo telepathically protection from attack by the other inmates and the guards, Hawkeye agreed to help Flumm escape. Although Flumm’s body is still in custody in Seagate prison, his mind is in possession of the body of the villain known as Headlok. He and Hawkeye are in the middle of an escape attempt. Mentallo wears red coveralls and brown boots, gloves, belt, collar, and helmet, along with a pair of red goggles. He has a small goatee visible under his mask. Mentallo has delusions of grandeur. Despite the limitations of his powers, he proclaims himself to be one of the world’s most powerful psychics. He seems to miss the fact that there are more than a few denizens of the Marvel Universe who do what he does MUCH better. Much of the power he does have comes from equipment provided by either SHIELD or through his longtime partnership with The Fixer. Mentallo makes an excellent, if flawed, specialized agent for The Hive or other Hydra-like organizations in the DC Universe. He might also have gained his powers from the experimentation of Clifford Devoe, the original Thinker. Or serve as a substitute for the Cliff Carmichael, the second Thinker. Let’s not leave out possible connections to the Freshmaker himself, Steve Dayton (a.k.a. Mento). Marvin may have gotten his training and stolen equipment from a Star Labs experiment on the practical applications of telepathy. He then begun his criminal career with Intergang before branching out into freelancing. Mind Probe and Telepathy have Range of 5 miles. Radar Sense is psionic in nature and cannot be heard by Super Hearing or jammedusing normal, electronic means. Telepathy and Mind Probe (using Multi-Attack) can be used to contact no more than three people at a time. Attack Vulnerability (-2CS vs Mental Attacks). ANTI-PSIONIC HELMET [BODY 06, Mind Blank: 10, Mind Field: 10]. S.H.I.E.L.D. TELEPATHY ENHANCEMENT BATTLE SUIT [BODY 04, Power Reserve: 06, R#2, Limitation: Power Reserve works only on Mental Powers]. 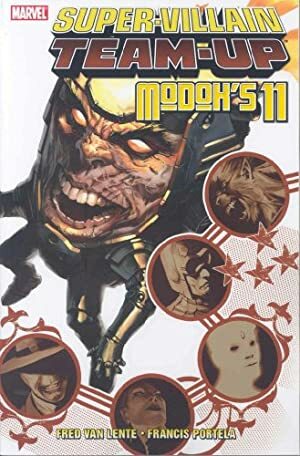 As a result of recent events seen in Thunderbolts that were a result of actions by Justin Hammer (prior to his death), Mentallo may have Personality Transfer: 10 with the Limitation – Body Left Behind While Transferred. Helper(s): Jay Myers, Gareth Lewis, Roy Cowan, Sébastien Andrivet, Official (comic) and Unofficial (web) Handbooks of the Marvel Universe.